One of my latest images Rush. This was photographed at Sunset Cliffs. I wrote the first in a series of blog posts on entering the photo exhibit at the San Diego Fair. I'm participating this year and I'm going to document my experience. This first post provides some background on the competition and covers my thought process for selecting images. My newsletter for March is now available. Within it, I share my photographic adventures and provide news and tips for landscape photographers and San Diego residents who might like to explore some of the off-beat places I visit. I was juried and accepted into the Spanish Village Art Center which is home to a very talented community of San Diego based Artists. The center is located in Balboa Park and I plan to showcase my work here. 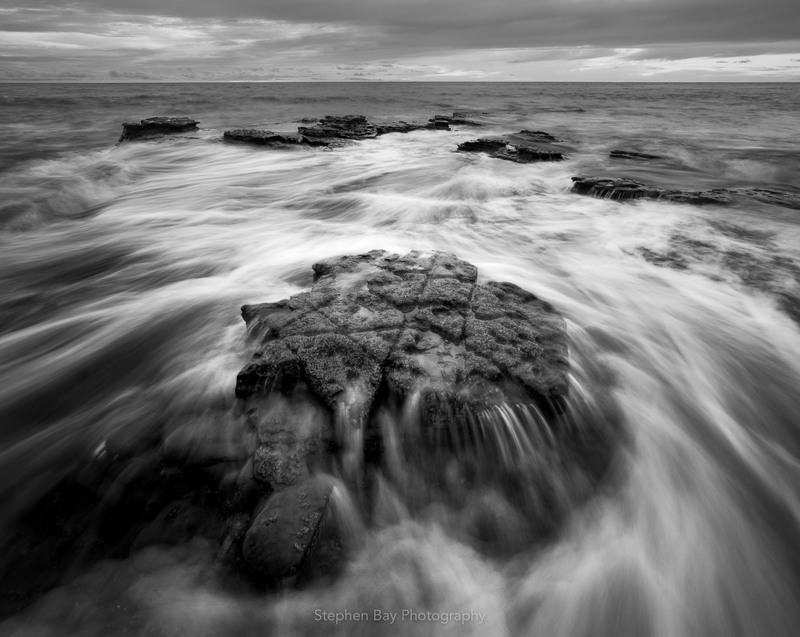 I've changed the domain name of my website from sandiegobeautiful.com to stephenbayphotography.com. If you try to go to the old site, you will be automatically redirected here. Along with the change are some minor updates to the user interface.